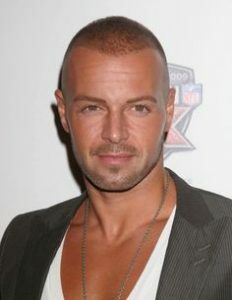 Joey Lawrence is an American actor and singer known for his roles as Joey Donovan in the NBC’s sitcom Gimme a Break! (1983-1987), as Joey Russo in the NBC’s sitcom Blossom (1990-1995), as Joe Roman in The WB’s sitcom Brotherly Love (1995-1997), and Joe Longo in the ABC Family original television series Melissa & Joey (2010-). Joey was born on April 20, 1976 as Joseph Lawrence Mignogna Jr. in Philadelphia, Pennsylvania, USA. He is the oldest son of Joseph Lawrence, Sr. and Donna Lawrence. He is of Italian descent on his father’s side, and of English descent on his mother’s side. He married to Chandie Yawn-Nelson in 2005. They have two daughters named Charli and Liberty. He was previously married to Michelle Vella from 2002 to 2005. *He belongs to Italian and English descent. *He is the oldest of three brothers. *He can turn his thumb all the way to the back. He has triple jointed thumbs. *One of People magazine’s 50 Most Beautiful People in the World (1994). *He is an avid fan of LA Lakers, Dodgers, and Eagles.